The UOIT Ridgebacks and the Queen’s Gaels met in the OUA conference final, with UOIT scoring a 1-0 regulation time win. 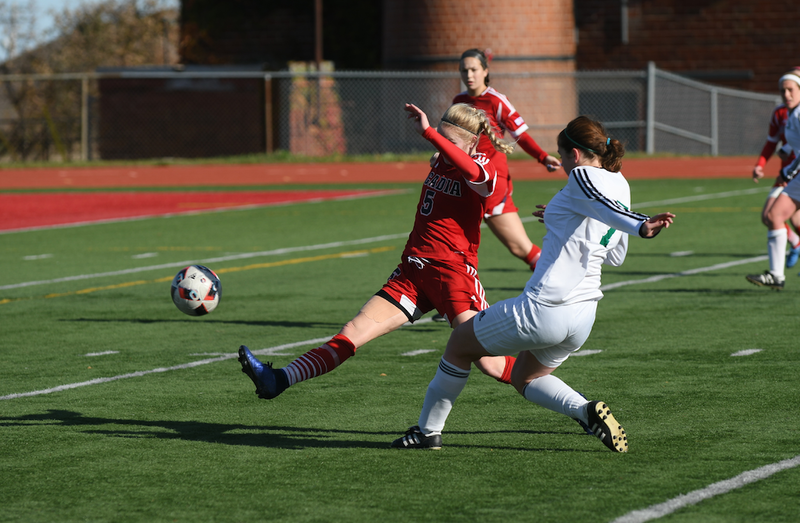 The conference rivals, who are more than familiar with each other by now, met again in the bronze medal match at the CIS women’s soccer championships Nov. 13 in Wolfville, N.S. The Ridgebacks claimed the national bronze medal with a 1-0 victory in another closely-contested game. Third-year midfielder Katherine Koehler-Grassau’s (Ottawa, Ont.) goal on a medium-range shot in the 59th minute ended up being the game’s only goal. UOIT turned in a close-checking second half to make that narrowest of possible advantages stand up the rest of the way. Helen Frampton recorded the shutout despite only facing two shots, neither of which was credited as a direct shot on goal. Queen’s keeper Madison Tyrell (White Rock, B.C.) recorded a pair of saves from seven UOIT shots. 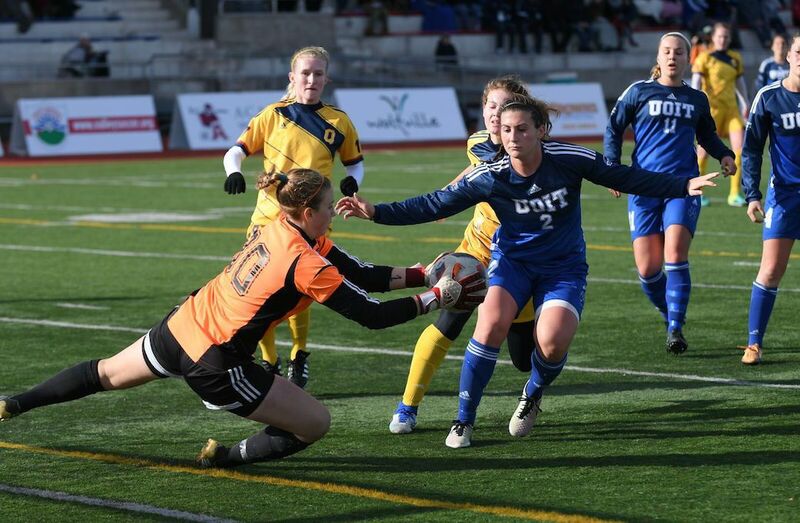 The Gaels had a couple of decent chances in the closing minutes, but UOIT managed to close out the shutout victory. Speaking after the game, Koehler-Grassau confirmed this was only UOIT’s second-ever appearance at the tournament, and the bronze was the school’s first-ever medal. The Ridgebacks last attended a CIS Championship in 2014, losing to Trinity Western and Montreal. As for the key to victory, Koehler-Grassau said, “We went in hard for every ball, and kept the ball in play. We stuck together, and didn’t let ourselves get down on each other. We do fitness year-round, so being in shape wasn’t an issue,” - despite playing their third game in four days.